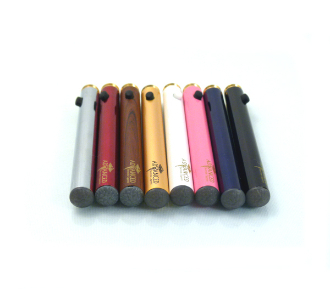 Our pen-style rechargeable Dse 801 electronic cigarette manual batteries come with a standard 3.6v lithium battery. Giving you a good amount of vaping time between charges. The manual batteries feature a button on its side, allowing you told it down while inhaling to control the amount of vape you receive. We know that not everyone vapes the same, so we let you administer whether you want a strong hit or a slight smooth hit. Available colors: White, Black, Red, Stainless Steel, Brown, Gold, Pink & blue. Select battery color from the drop down menu. Note: Buy in bulk and save. To buy in bulk and select different battery color, add the requested color one at a time to the shopping cart, discount will apply at check out.